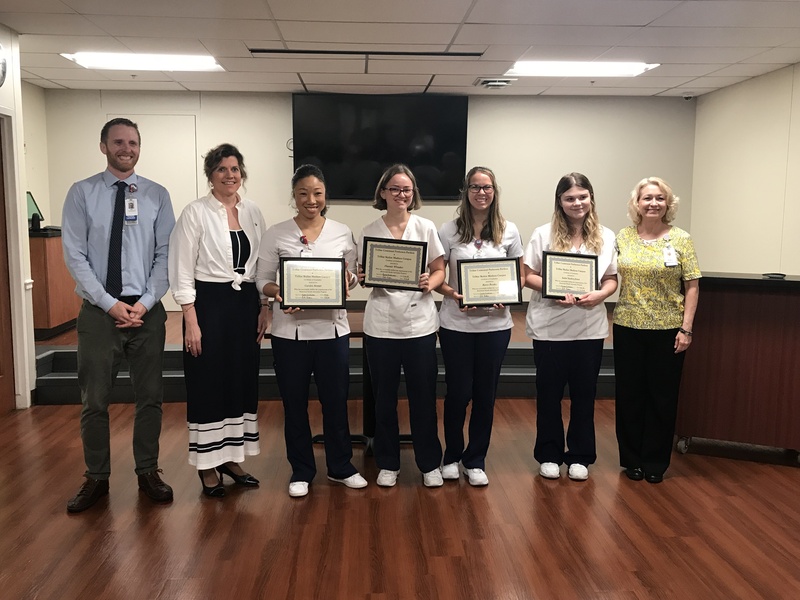 For the past seven weeks, four Belmont University nursing students participated in the Behavioral Health Internship Program (BHIP) 2018, a partnership between Tristar Centennial Medical Center-Parthenon Pavilion, Skyline Madison Hospital and Belmont. A $16,000 grant, awarded to Belmont by The Promise of Nursing for Tennessee Nursing School Grant Program & administered by the Foundation of the National Student Nurses’ Association, enabled the students to receive a stipend. Funding for the grant program was contributed by several hospitals and health care agencies in the Tennessee area, Johnson and Johnson and other national companies with an interest in supporting nursing education. This project was created to acknowledge and emphasize shortages of behavioral health nurses & increase interest in this specialty area. Students were paired with nurse preceptors for an additional 248 hours clinical hours and completed three 12-hour day shifts each week. They also had the opportunity to rotate to different units at both Parthenon Pavilion and Skyline which serve a wide variety of patients with a variety of medical and psychiatric diagnoses. Associate Professor of Nursing Dr. Folds said many things contributed to this program’s success including the students’ values and the investment and commitment of the TriStar Health Care Leadership Team, Belmont’s Associate Dean of Nursing Dr. Martha Buckner and the Undergraduate Director of Nursing Dr. Sandy Murabito.